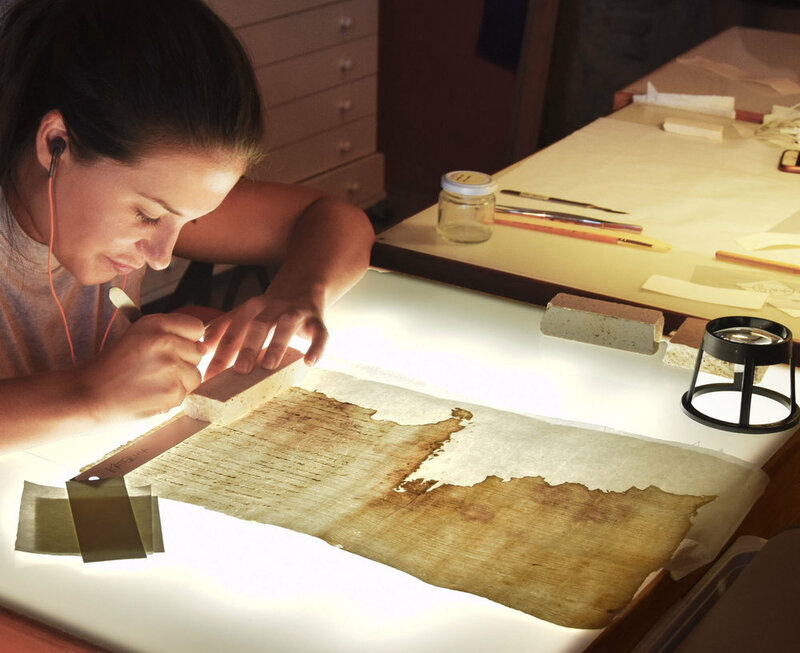 This program aims to introduce students to the field of paper restoration and conservation in books and archival documents. The program involves both lectures in the classroom and practical workshops that impart theoretical knowledge and practical skills in the field. The program is made up of two courses. Students of the following subjects would find this program useful: book and paper conservation and restoration, art restoration, library science, library management, archival sciences, management of rare book collections, bookbinding, anthropology and history of technology. Students participating in this program are required to take part in all courses and field projects in the program. This program compliments Program C, Book Binding, in Session 1; students should consider taking both programs. This lecture course offers an overview of the history of paper and of bookmaking technology, and the various processes used in the restoration of books and paper. Students learn the following: the material nature and the various typologies of paper (both traditional and new), inks, writing, printing processes, the structure of bindings, the various agents and processes of deterioration and how they impact both paper and book bindings and the various methods of conservation and restoration to counteract them. The second course is a workshop where students work on printed paper and original manuscript material from local historic archives (16th to 19th centuries), and learn the following skills: dry cleaning paper, washing and cleaning with solvents, mending tears in paper, infilling loses, lining weak paper structures, deacidification, flattening and proper long-term conservation of archival materials. 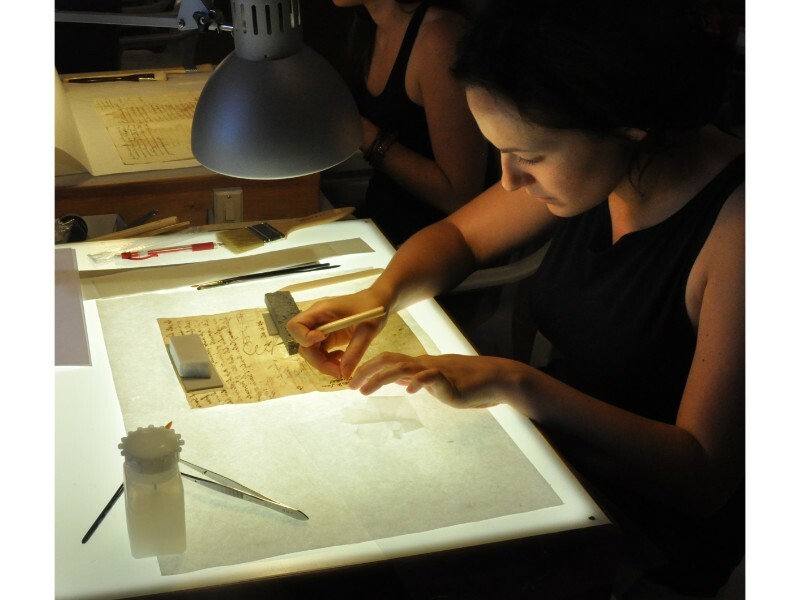 The workshop also includes work on the digitization of the San Gemini Historic Archives.